What do you do when the weather is so miserable? Get your oven mitts, that´s what! 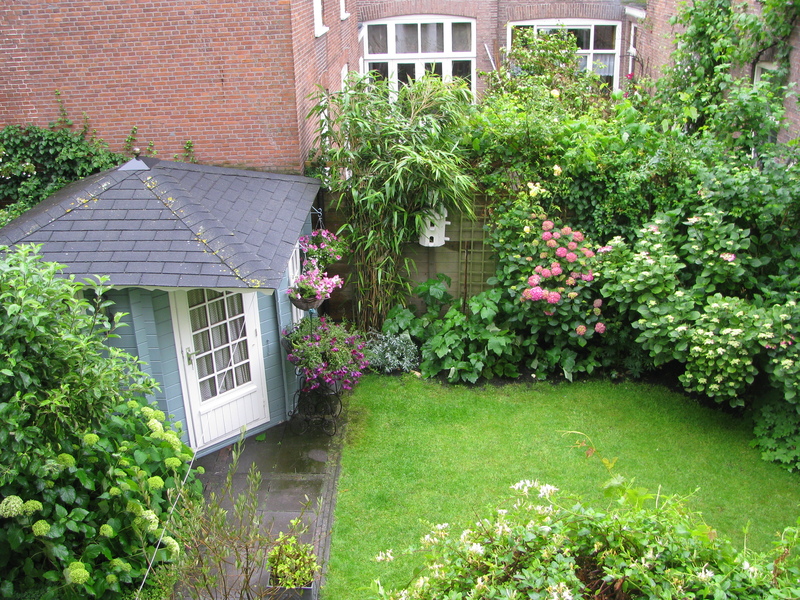 So far, we have had a pretty wet and cool summer here in the Netherlands. So turning on a hot oven and baking the weekend away seemed like pretty good therapy. That and copious amounts of beer. Let´s see, what were the fruits of my labour? 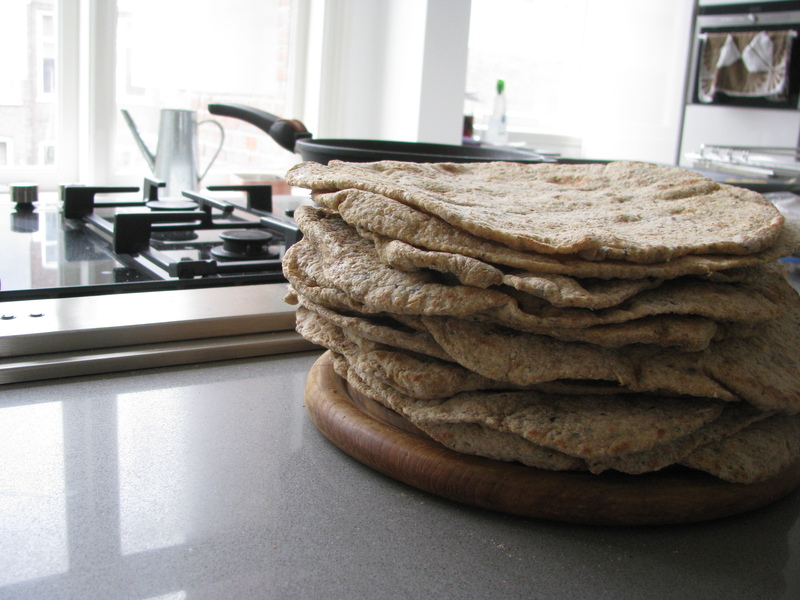 First up, I made a triple batch of whole wheat and spelt naan bread. 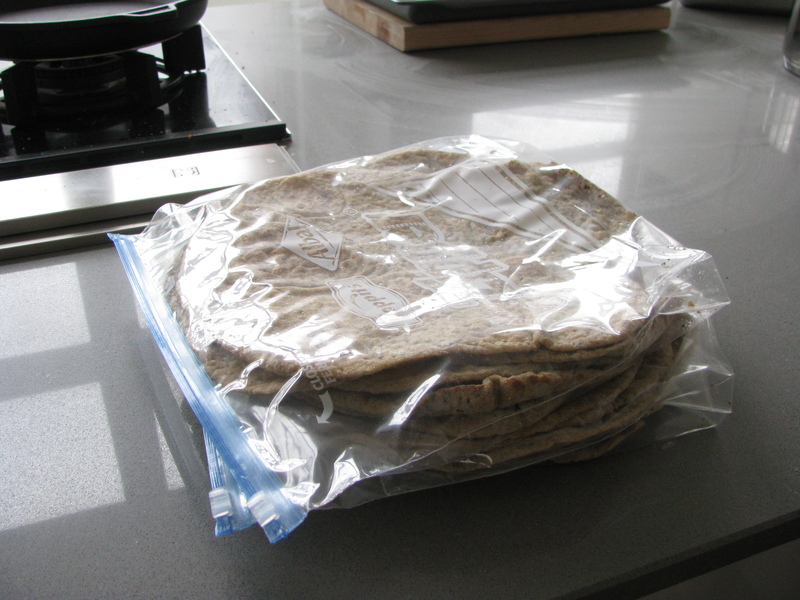 I am trying to move away from store-bought bread for lunches so I am making enough naan to last us the whole week. These are so delish and were inspired by a recipe created by Terry Hope Romero from her upcoming book, Vegan Eats World. I was super lucky to be one of Terry´s recipe testers! This particular batch made 24 naan. I then bag and freeze them, which is a great way to keep them fresh. 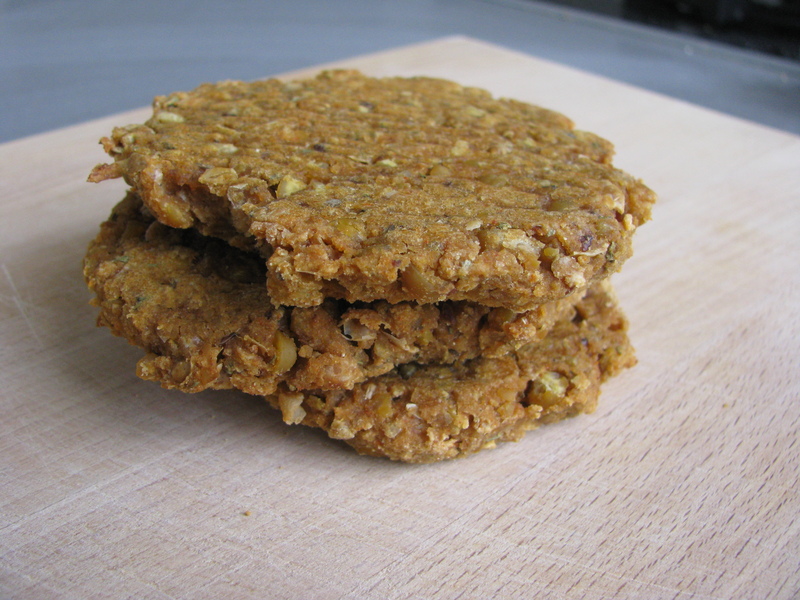 Next up was trying Windy City Vegan´s Gluten Free Chickpea Cutlets. I did a few modifications to the recipe. I replaced the sesame oil with unsweetened apple sauce. I also toasted and ground 4 T sesame seeds just to add some of the sesame taste that was lost from omitting the oil. I also made mine with the flax slurry. The result was a bit dry (I can see why the original recipe called for 4 T oil). However, I plan to use it in Isa Chandra Moskowitz´s Chickpea Piccata recipe. I adore this recipe (as well as the entire Appetite for Reduction (AfR) cookbook, for that matter) but it always leaves us a bit peckish afterwards. So I thought perhaps a cutlet might satisfy the appetite a bit more rather than a few loose chickpeas. Since the cutlet will be simmered in piccata broth, this might solve the dryness problem. I´ll give you a full report this week. 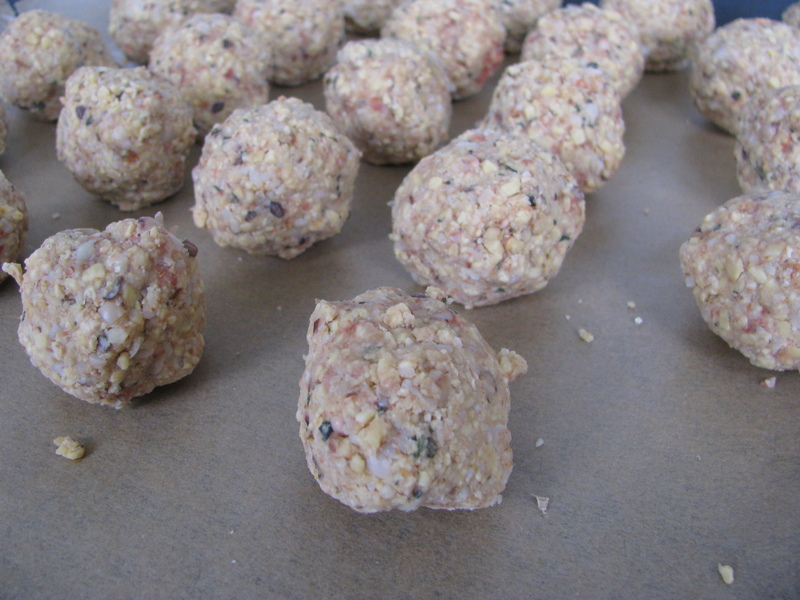 Next was another recipe from AfR: Black-Eyed Pea & Tempeh beanballs. I was planning to add these to my naan this week…. …however, I was a bit disappointed. The flavour really fell flat. I guess they are probably meant to swim in marinara sauce instead of standing on their own. I will have to change my game plan for how best to use these. 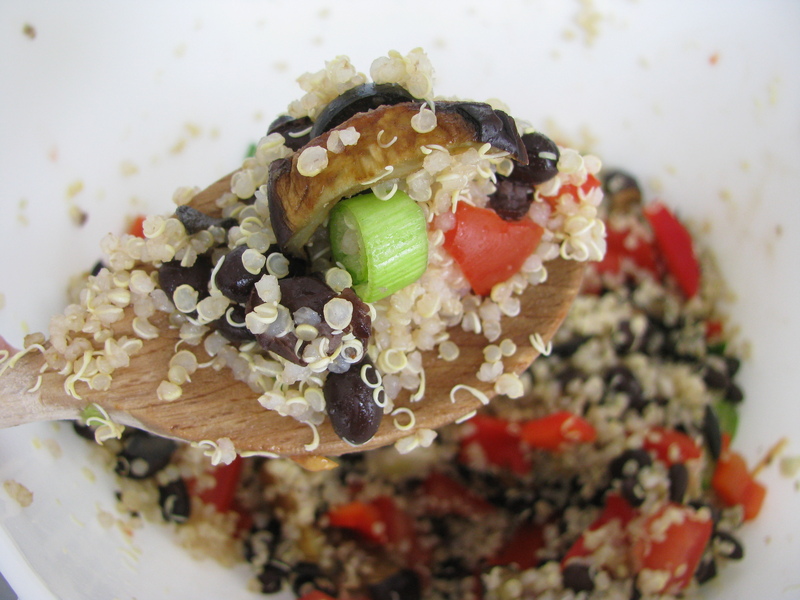 Next up was a multi-coloured salad based on quinoa. I just threw it together at the last minute with the bits I had on hand – tomatoes, red peppers, spring onions, black beans and roasted aubergine (with a glaze of balsamic vinegar and soy sauce – MMM!). 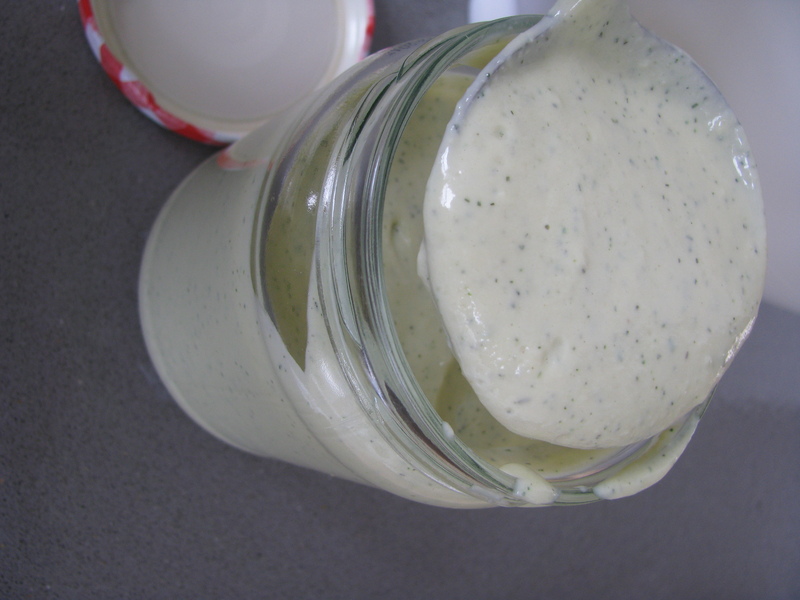 To top it off, I made the scrumptious Sanctuary Dressing from AfR (seriously, if you don´t own this cookbook, you must get a copy – immediately!). Have a good weekend! I hope it is sunny and warm wherever you are.